Chicago is a food city in every sense of the term: we have Michelin-starred and James Beard Award-winning restaurants and chefs, a vast and ever-evolving dining scene, and locals who will passionately argue that no one does pizza or hot dogs like we do. And yet, if there's one microcosm of our food-fueled identity that's woefully underappreciated, it's the dessert-y items that we bring to the table. 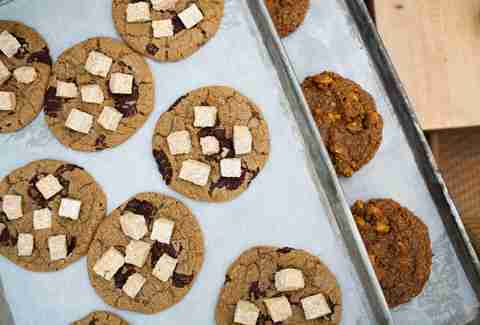 To remedy that, we're shining the spotlight on 11 of Chicago's sweetest indulgences. 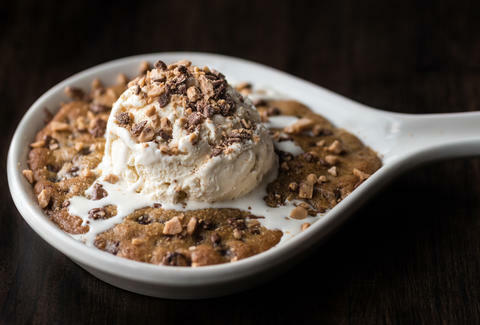 Between their molten centers and inevitable scoops of ice cream on top, skillet cookies, by their very nature, are a no-fail hot-meets-cold dessert option. And while any skillet cookie is better than no skillet cookie at all, the drool-inducing iteration at this comfort food-driven bar and lounge has managed to shift from great to irresistible thanks to crushed Heath bar baked into the dough and dusted over a heaping scoop of vanilla ice cream. 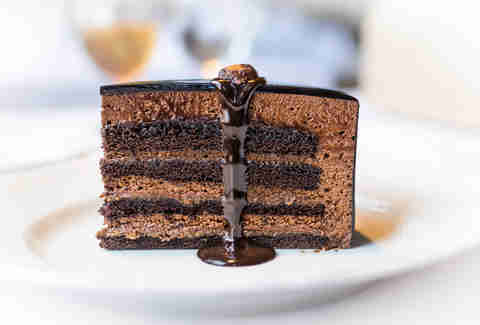 With a lighter, brighter aesthetic and cuisine, and newly minted executive chef Stephen Wambach at the helm, this Randolph St favorite is better than ever, but one important thing has remained constant in spite of so much change: its lauded chocolate layer cake. The fudge-y showstopper boasts layer upon layer of cake, chocolate pudding frosting, and hazelnut praline, and is coated in chocolate ganache and finished with a veritable lava-flow of chocolate glaze. Summer House Santa Monica’s sophisticated twist on the humble rice crispy treat will make you forget every prepackaged variety Mom used to put in your lunchbox. Each bite of the colossal square packs a punch of nutty, buttery flavor, and just enough of a salt factor to keep it from erring on the overly sweet side. Pro tip: to really walk on the wild side, try the chocolate chip cookie studded with brown butter rice crispy treat chunks. No dessert roundup is complete without something sweet crafted by Meg Galus, Chicago’s resident star pastry chef who helms the pastry programs at Michelin-starred BOKA, lauded Momotaro, and steak-centric Swift & Sons. 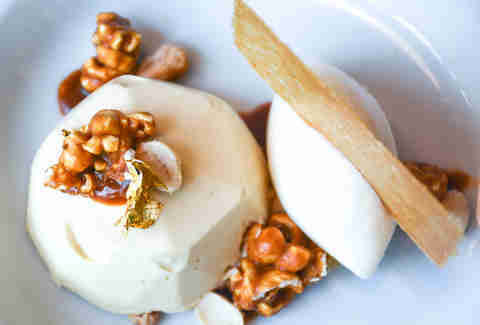 Her perfectly balanced S & S Cracker Jack has been a menu favorite since the steakhouse opened last fall, and features peanut butter mousse, salted caramel, caramel corn, and popcorn sherbet. 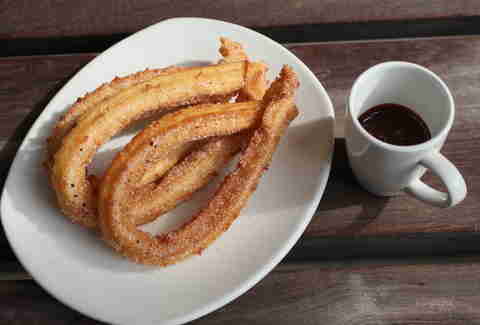 Stop by Rick Bayless’ counter-service concept for impossibly airy, sugar and cinnamon-dusted churros that simultaneously satisfy a sweet tooth and leave you hungry for more. Fortunately, three of these bad boys will run you less than $5; for the proper experience, splurge on an optional shot of bean-to-cup chocolate for some always-necessary dipping action. 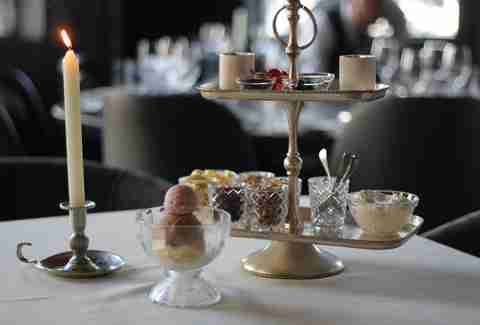 Forget basic sundaes; at this glitzy steakhouse, pastry chef Aya Fukai presents a table-side sundae service fit for dessert-loving royalty. The interactive setup includes a bowl of house-made vanilla, chocolate, and strawberry ice creams, as well as a tiered tray stacked with an array of accoutrements like salted caramel whipped cream, candied coconut, sprinkles, seasonal fruit, and more for a DIY experience. The impeccably moist chocolate cake at this Chicago-based hot dog joint is undeniably the chain’s most iconic dessert, but we’re willing to argue that its lesser-known frozen counterpart is actually even better. 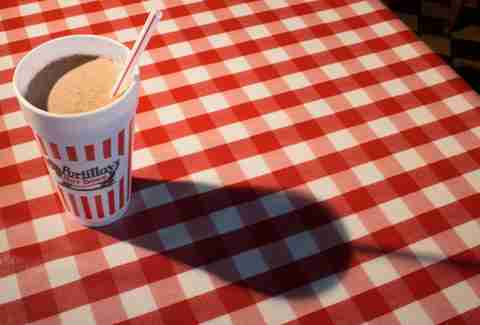 The creamy concoction features generous chunks of the signature cake blended into a masterfully spun milkshake, and is best teamed with a Chicago dog with all the proper trimmings. We don't mean to sound judge-y here, but dining at Bar Siena and not ending your meal with one of its famous bomboloni isn't just wrong; it's sacrilegious. 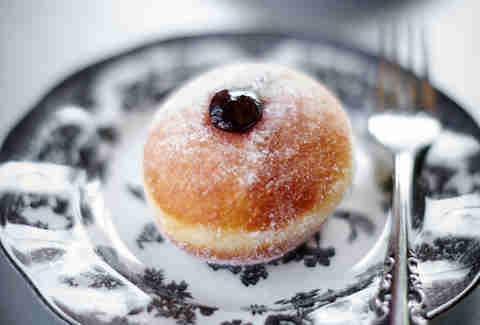 The pillowy, sugar-encrusted Italian doughnuts are stuffed with everything from chocolate to maple buttercream, and are a can't-miss part of dining here. Pro tip: for a bombo fix on the go, swing by the walk-up window around the side of the building and place your order. The enticing lineup of pies at this kitschy bakeshop and cafe changes based on the seasonal availability of ingredients, but frequently showcases flavors like chocolate pecan with a maple filling, lemon meringue on a shortbread crust, and coffee custard with vanilla bean cream. 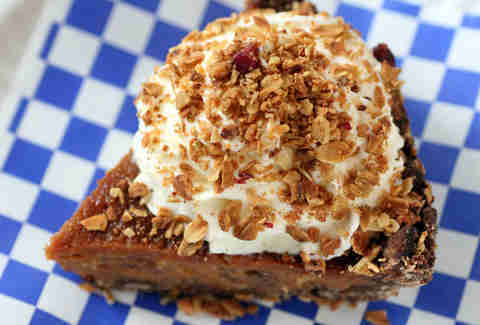 Pro tip: pies baked fresh and are available in limited quantities daily; call ahead to reserve a whole pie. 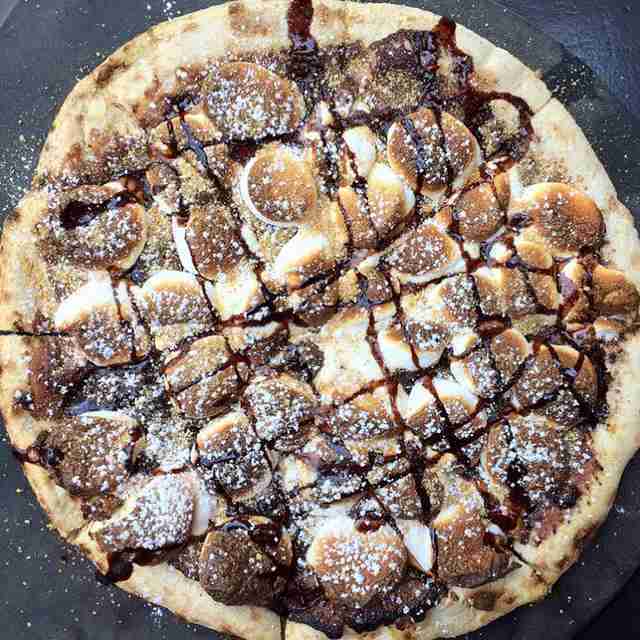 This Italian joint backed by Chef Tony Mantuano is known for its wood-fired pizzas, and the dessert-ready s’mores pie is no exception. A thick layer of Nutella coats the restaurant’s browned and bubbly house-made crust, and is crowned with a mass of toasted marshmallows and drizzle of chocolate. A delightfully greasy county fair delicacy gets a restaurant-approved twist at this seafood-centric spot oozing with Southern charm. 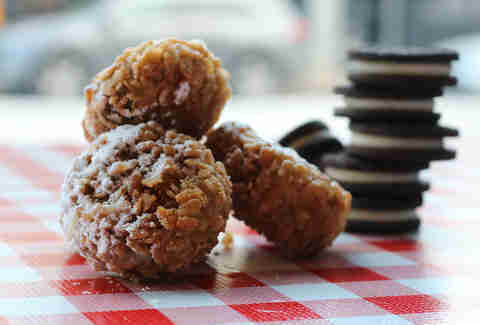 Instead of the usual pancake-like fry batter, these Oreos get dunked in a Rice Krispies cereal dredge before plunging into piping hot oil. The result: a crispy golden exterior that yields a gentle “snap, crackle, pop” with every indulgent bite.